One of the persistent myths in Taiji is that when Yang Luchan went to Beijing, he made the training easier by taking out all the hard stumping and jumps from the form to make it easier for the nobles. There has been two reasons supplied for his doing so: 1) the form would otherwise be too difficult for the nobles, 2) he didn’t want to teach the real art to the Manchurians who invaded and took control of China in 1644. If we just take a step back and take a look at everything else we know to be true about the martial art scene in Beijing at the time, we can easily conclude this not to be true. To start, both of these reasons implies the true essence of Taiji lies within powerful stumps and high jumps. But those are not what make basic Taijiquan skills work, or makes it different from other martial art right? If we want spectacular high jumps and kicks, none can surpass those in modern Wushu. Are those Wushu’s athletes’ competition more authentic than even the classical forms then? As for powerful Fajin in strikes, out of the Big Six martial arts of the north, Tongbei and Baji are the ones most famous for that. In terms of stumping, Baji and Xingyi emphasize those in their training more than other arts. The essence of Taiji is using subtle circular forces to change the direction of the opponent, taking him off his center before he is aware. Yang Luchan may very well have changed the practice over his lifetime, and taking out the powerful fajin and jumps (the high kicks are still in the form) may very well be a conscious decision to make the form’s tempo completely slow, even, and smooth, which help the practitioner get the correct feel sooner. As for deceiving the prince of Qing Dynasty for all those years, that is just not possible for someone in his position. First: before coming to Beijing Yang Luchan spent his entire adult life as an indentured servant. He was freed only because his master died, and it was unseemly for an single adult male his age to be living alone with the widow of the master. A commoner cannot even loiter outside a prince’s palace without permission. Before coming to Beijing, Yang Luchan first went back to his hometown of Yongnian. There he seriously injured an opponent during a fight. The challenger’s family and clan sought revenge. When Yang Luchan came to Beijing, he was able to keep a low profile for a while, taking a job as a regular family tutor (literature, not martial art) for the owner of a famous pickled vegetable shop. However when one day a band of 20 brigands tried to rob the factory shop, he single-handedly defeated all of them. Soon the old enemies showed up at his door again. The shop he worked at – Tianyishun Jiangyuan (天义顺酱园), supplies the imperial family. The owner knew Duan Wang, the cousin to the emperor. The shop owner Zhang Fengqi (张凤岐) introduced Yang to the prince, with the idea that with him serving the prince, trouble will stop following him once and for all. And that was the way things worked out. Not only did it provide livelihood, honor, and prestige, but the association with the prince provided security and peace of mind as well. Why would Yang Luchan, whose life has been mostly impoverished and troubled up to this point, do anything so outrageous and daring as secretly creating two systems of teaching and deceive the person he depended everything on?! Besides, we all know how counter-intuitive the slow Taijiquan training method is. How would it look to the prince if he and his men spent years training with little results, while Yang’s own son Banhou, who is 3 years younger than Quan You and others, grew by leaps and bounds in skill? Such deception is simply not possible. Besides, we knew people inside the palace got the real skill. As the famous saying goes “Of Luchan’s students, Wanchun (萬春) got his hard fajin, Lingshan (凌山) was adapt as throwing, and Quanyou (全佑) was skilled at neutralization.” So these were his three best students (besides his sons of course). Wangchun, Lingshan, and Quanyou were Manchurian guards working at Prince Duan’s palace. Wangchun and Lingshan had no desciples, Quanyou today is respected as founder of Wu Style Taijiquan. According to family lore within Taiji circles, there were actually two other Manchurian students who obtained Taijiquan skill before these three, but they both perished during the invasion of Eight-Nation Alliance. We can tell whatever Yang Luchan taught, he taught everyone the same. Banhou’s skill and training is no different from what is taught in Quan You’s lineage, or different from those of Yongnian students Yang Luchan taught before coming to Beijing. In fact, of the six big styles of Taijiquan today, all five that shared common ancestor in Yang Luchan look more or less the same, with only Chen Style looking very different. So if Yang Luchan made the change, he taught everyone the same way, he did not single out the Manchurian employers. If that were not the case, then there should be no difference between Yang Style and Chen Style. This is where understanding the cultural context is really helpful. Who are these Manchurians who learned from Yang Luchan? The Manchurians are an ethnic minority at the northeastern border of Ming Empire. They were an autonomous vassal state that had to pay annual tribute to Ming. With Ming government overthrown and country still in chaos as the peasant rebels still trying figuring out what to do, an opportunity arose for them to raid the country. But clear-sighted and ambitious Prince Dorgon rightly saw this as not just another big score, but an rare opportunity to take over the entire country. There was great opposition as the native Han ethnic group opposed rule by foreigners. Those opposition died down fairly soon as Qing Dynasty was blessed with many brilliant, enlightened rulers, in sharp contrast to Ming Dynasty. The Manchurian did not repeat the key mistake the rulers of short-lived Mongol empire made – trying to make a much larger, more advanced civilization conform to the social, economic, and agricultural systems of a less advanced nomadic culture. Instead, they eagerly adopted Han ways, so the native population did not feel a constant cultural clash that reminded their differences and fueled dissent. One tradition the Manchurians did not abandon is the way its male members lived in constant readiness for war. Made up of 8 tribes/clans, the male of each of the tribes were not to have full-time occupations that would prevent them from being called up for war/raid at a moment’s notice by their clan leaders. For most of its 261 year history, Qing Dynasty enjoyed uninterrupted peace and prosperity. For all this time, the entire male population of the ruling ethnic groups lived off rich government stipends, and had nothing but free time on his hands. These man are known as Sons of Baqi (Baqi Zidi 八旗子第). Baqi – eight flags representing the eight tribes of Manchuria. Since they can’t have full-time professions, they had full-time hobbies. During this time, every conceivable leisure-time activity: arts, crafts, falconry, gardening, cuisine, … cricket-fighting, everything got pushed to absurdly high, refined levels. This included, for a people whose entire way of life (and very idea of manhood) centered around horseback riding, wrestling, and hunting, a natural and abiding interest in martial art. It is during this time Shuaijiao reached its zenith, as Manchurian, Mongolian, and Han styles merged into a much larger, more detailed skill. 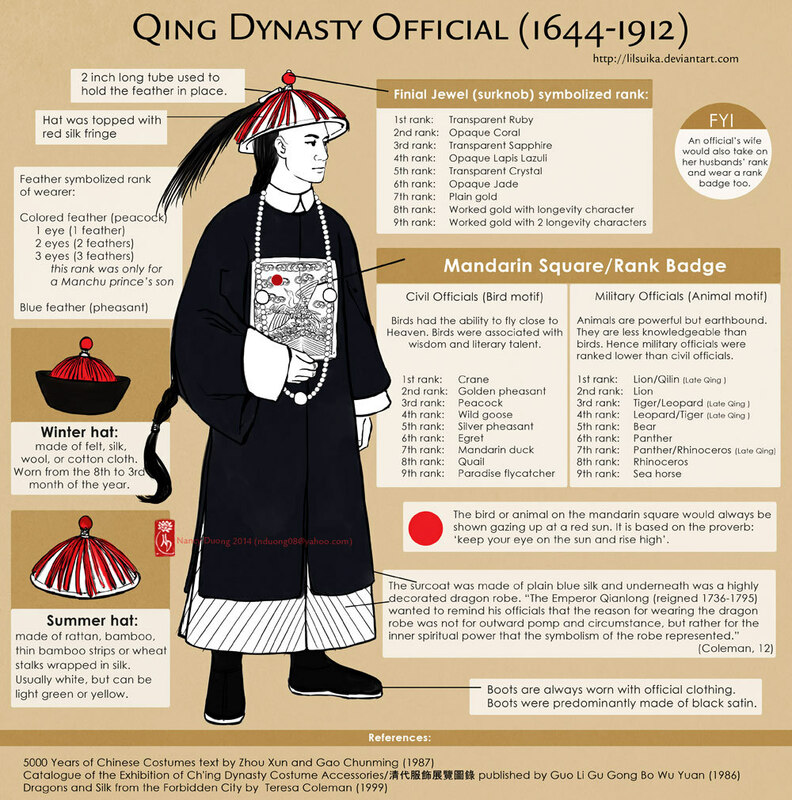 The Manchu emperor has his own wrestling team of around 438 people, divided into two camps. Throughout the year the camps competed with each other, had frequent exhibitions, traveled with emperor during hunts, and most importantly, faced off against the Mongolian king’s wrestlers in annual contest. Membership and promotion in the team depended entirely on one’s performance in all these events. The 438 of professional wrestlers at Shan Pu Ying (善扑营) belong to but one of the three capitol city garrisons. The one where Yang Luchan, Liu Zhijun, and Song Mailun taught at – Shen Ji Ying, had over 2,000 instructors/weapons experts who led the training of 30,000 strong palace guards. That plus the battle-hardened agents of Big Ten security companies (Biaoju), members of Big Six martial arts of the north, and all the people who flock to the city to make a name for themselves, Beijing during Qing Dynasty represented the peak of development and growth of traditional martial art. The lifetime patronage of the large number of ruling class already deeply steeped in martial culture played a huge role in all of this. The Manchurian, experts to start with, with unlimited time and resource, were discerning connoisseurs of martial art as in any of their other hobbies. One nobleman – Duke Lan，hosted Ma Gui for years hoping Ma would teach him the famous Eighteen Interception (si ba jie 十八截) – an advanced broadsword (regular length, can be worn at waist) skill. Taken all together, given the large, vibrant, and knowledgeable community, it would be impossible for the Yang’s to be teaching one set of drastically watered-down skills to the nobles – the very people who made all these growth and development possible, and teach another, more advanced set to other Han people, whom the Manchurian patrons also know equally well. This traditional of patronage would continue during the early days of Republic era. In 1933, Yuan Liang became the fourth mayor of Beijing. Yuan was deeply interested in martial arts, and asked head of Beijing Physical Culture Institute (北平体育研究社) Xu Yusheng (许禹生) to recommend a teacher for him. Xu was one of the first modern educators in modern China. Between age 20 – 24, Liu Dekuan came and taught him at his house. Beijing Physical Culture Institute was the first time martial art was taught to the public outside of the traditional private master-disciple system. Many of the first generation instructors were great masters, they were responsible, as a necessity for teaching large classes, systematizing, formalizing, and in many cases creating (ex. Bagua Jian) many of the empty hand and weapons routines in traditional martial art. So Xu knew everyone. Yuan Liang had one pre-condition, that he would fight each candidate, if he loses, he will be the disciple with no questions asked. The first few candidates, afraid to harm the most powerful man in Beijing, held back and ‘lost’. Yuan was deeply unsatisfied. He demanded Xue Yusheng produce someone better. It is at this point that Xue Yusheng thought of Wang Maozhai. Also a senior disciple of Quan You, Wang was not much involved in the business martial art. Throughout his life he operated a profitable building supply company called Tong Sheng Fu (同盛福) in the center of the city (Don Dan district). He didn’t need to teach, and worry about any politics associated with it. As predicted, Wang Maozhai had no reservations when he met Yuan Liang, and beat Yuan Liang as he would with anyone else he met. Of course he did not injury Yuan Liang, but gave Yuan Liang a very clear idea of his skill. Yuan Liang, thoroughly impressed, immediately knelled down. When word of this went out, Wang Maozhai, who was previously only known inside the professional circle, became famous overnight. Many flocked to him. Wang, throughout his life, always felt his teacher Quan You was slighted by the nobles of Qing Dynasty, he always told people “my teacher is Quan You, and his teacher is Yang Luchan (not Banhou).” He could not have cared less of ranks and titles, in fact he was antagonistic. He refused to teach anyone related to the Qing nobles. The people flocking to him now were the elite of Beijing’s political and commercial world. Everyone want to be ‘brother’ with the new major. After a careful selection process, Wang Maozhai also admitted seven other famous businessmen of Beijing at the same time as Yuan Liang. During the same ceremony, Wang allowed his disciple and successor Yang Yuting open his door. It was here that Master Wang Peisheng joined the group. Master Wang’s experience training with the new elites of Beijing was very interesting. From very early on he got the opportunity to train with Wang Maozhai directly. He remember as a teenager going to Wang Maozhai’s home in the winter, and next to the door he would see all these coats and pelts made of the most expensive, exotic material. This is before the age of advanced man-made fibers, winter cloth tend to be heavy and bulky, made of cotton. Except if you are very rich, then you can afford materials like mink that is incredibly warm and extremely light at the same time. It was quite a sight for a boy from poor family. As mayor Yuan Liang was deeply interested in traditional culture, he initiated many projects restoring and promoting traditional art and architecture around the city, hoping to turn Beijing into this cultural heritage site appreciated by all foreigners, who would in turn oppose Japan’s design on it (Yuan went to university in Japan). With Yuan’s patronage Wang Maozhai established public classes at the Grand Temple (Tai Miao 太庙). Eventually thousands flocked to those classes, making Wang Maozhai the leader of largest Taiji school in history (that record was broken when Yang Chengfu went to open his school in Shanghai). Master Wang started assisting Wang Maozhai in his classes at age 18, a mere 3 years after he started learning Taiji – probably the youngest Taiji instructor ever. His duty consisted of spending hours every day doing push hands with all the rich and powerful students trying to hobnob with the mayor. Unlike the Manchurian patrons during an earlier age, these wealthy merchants and politicians tend to be of middle age, otherwise inactive, used to life of luxury and comfort. They tend to be very overweight, and quite a few indulged in opium. They were not martial art material to say the least. During push hands, they have poor awareness of their own center, and tend to lean forward too much during advances. It was young Master Wang’s job to prevent them from falling in such circumstances. Similarly, he need to very precise in his own attacks so these clients won’t get thrown down to the ground. Master Wang looked to this not as a drudgery, but an opportunity to refine his skill: here has this heavy weight he needs to carefully control at all times, he has to follow the opponent, make him think he’s doing well, he needs to do his own skill, but beat the opponent without hurting him or cause any discomfort. Imagining getting a job at New York’s Museum of Modern Art moving around the marble statues in the Greeco-Roman Gallery everyday, it would be something like that. Master Wang would remember these clients remarking at the end of their practice that “it was some workout”. He could only laugh inside as he was the one doing most of the work. So in the case of Master Wang Peisheng, teaching corpulent, inept students turned out to be unexpectedly beneficial to his own Taijiquan practice. It was a unique challenge to one’s skill that most people don’t get to experience. There is a Chinese expression that “Gongfu comes out of Hao (功夫是耗出来的)”. Hao (耗): expend, consumed, dawdle, waste, exhaust, wear out. In martial art practice Hao means holding a particular pose, and just stay there for long periods of time. Martial art is art of movement, so why do people place such emphasis on static training? This addresses a common problem in martial art training. That people by nature find certain things more exciting, interesting to practice. Everyone loves practicing skill, technique, whereas holding a hamstring stretch for 30 minutes at a time is a lot less appealing. However, most basic training such as flexibility and post standing requires Hao type of training. Basics are important because they are the foundation. The strength of the foundation puts a limit on how high a building could be. Another aspect of Hao that discourages people is that it’s often painful. So this is when we get questions like “can we listen to music when we practice?” Here what we’re really asking is “can I at least mentally disengage from this activity, and get some short-term gratification?” Actually pain is a teacher, it tells us a lot about the strength and weaknesses of our body. We should instead go deeper into the practice, and investigate it: where is the pain (in the muscle I want to stretch, or in the tendons and ligaments), what kind of pain is it (soreness or sharp/wrong kind of pain), is it caused by something else (if it’s in a joint, is it because weakness in muscles, so this part is overcompensating), etc. In martial art practice as in life, results are determined by what we focus our attentions to, what we spend our time on. We naturally prefer certain types of things, and neglect, belittle the importance of things that seems easy to understand, boring, painful, and takes a very long time. But often it is those seemingly simple things that are of key importance, deserving of our full attention.